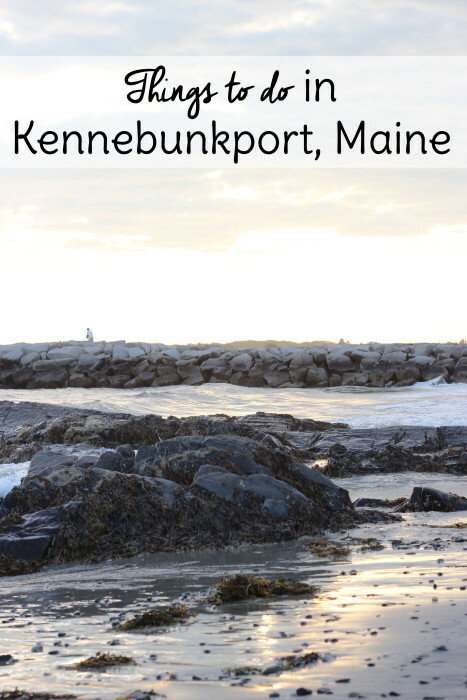 Earlier this month I had the opportunity to visit Kennbunkport, Maine thanks to my friends at Tom’s of Maine. Not only did I get to experience the beauty of Kennebunkport, but I had the privilege of getting to know the people behind the Tom’s of Maine brand. It’s hard to say which I was more impressed with! 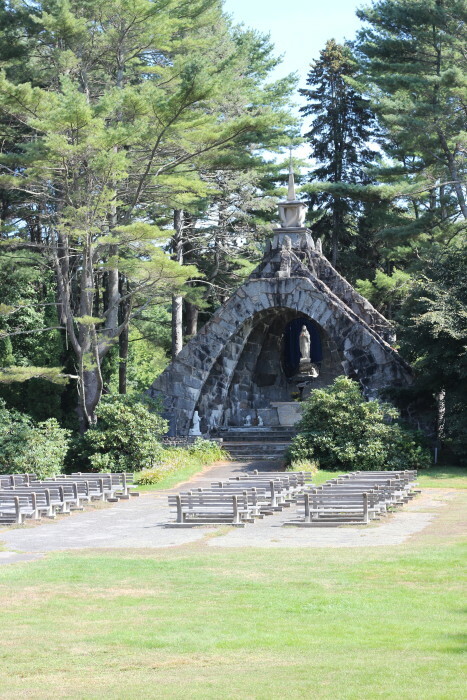 Here’s a little sneak peak of my Tom’s of Maine experience. 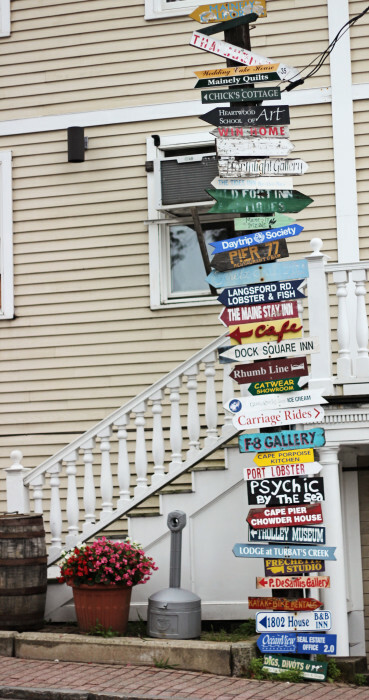 Keep reading to learn more about Tom’s of Maine throughout this travel guide. 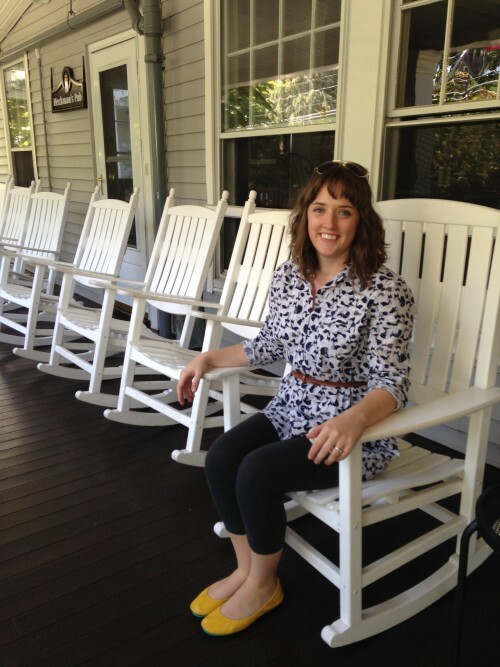 First of all let’s talk about where to stay in Kennebunkport. 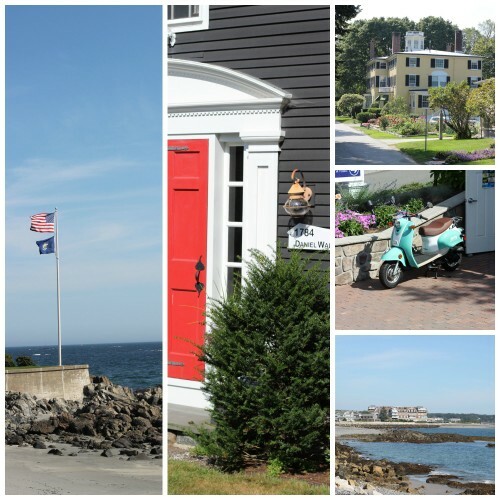 Like many Maine town, Kennebunkport in home to many a bed-and-breakfast and AirBnB However, our stay at The Nonantum Resort better suited the needs of our group (The Tom’s of Maine Goodness Circle) and we certainly didn’t loose that small town, laid-back feel by staying here. to the captivating view from my room, I felt relaxed during my stay here. 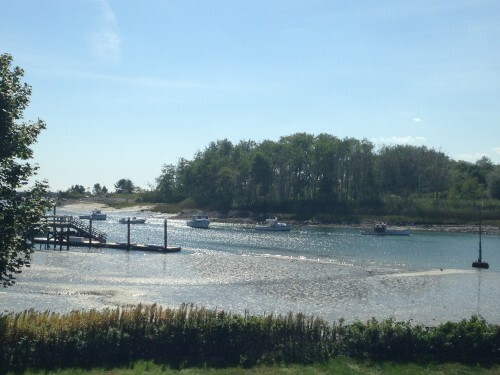 If the town of Kennebunkport wasn’t so beautiful and begging to be explored, I would have been tempted to just stay in my room and soak in that view! Fortunately, I did get some time to do just that. There was also plenty of time to eat here. 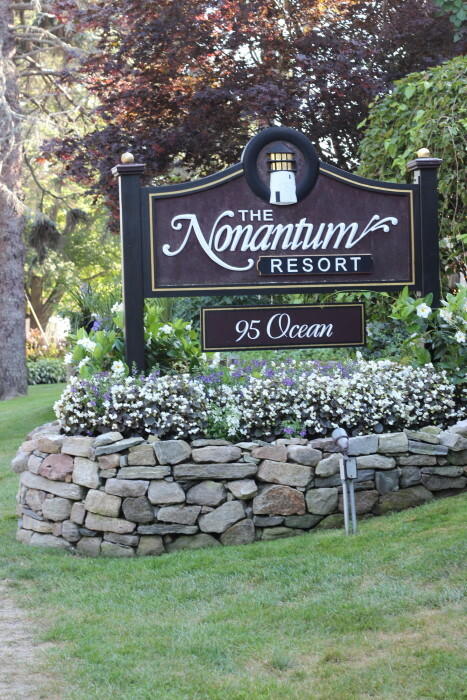 95 Ocean at the Nonantum Resort offers fine dining in the evenings. 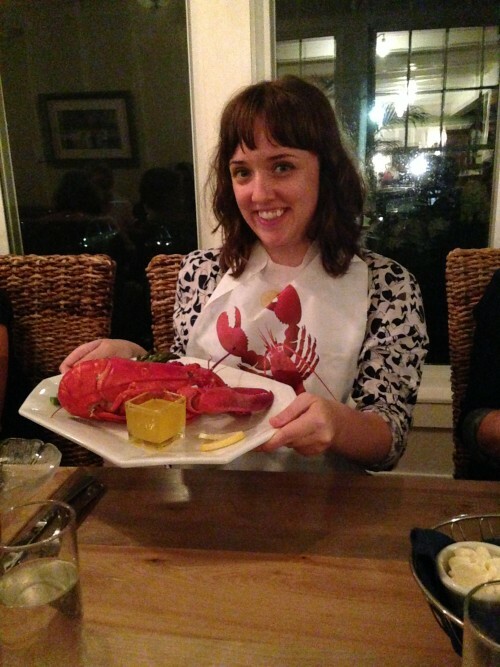 Not only did I have lobster (of course) but also a lobster-stuffed avocado. 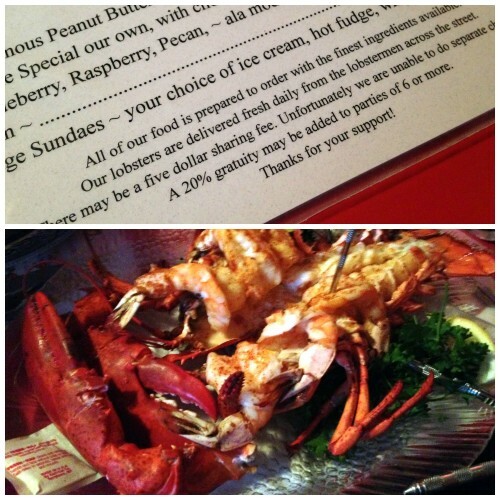 You’ve got to get your lobster quota in while you’re in Maine! 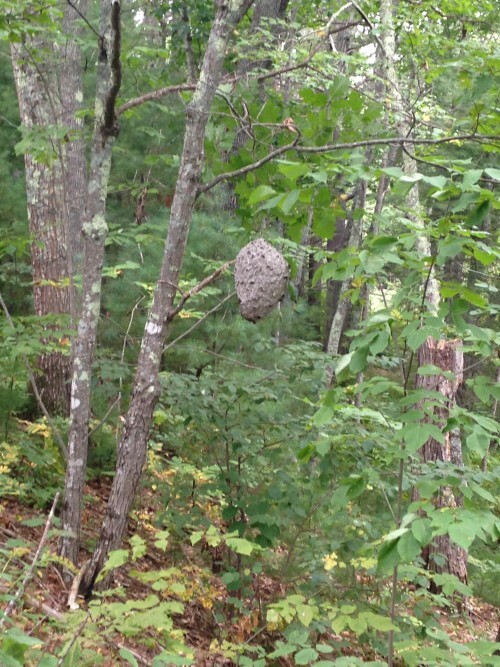 Breakfast at The Nonantum Resort is complimentary and served buffet-style, but it’s far from your typical grab-and-go. Think elegant wedding buffet with cloth napkins, waiters refilling your drinks and a view to die for. 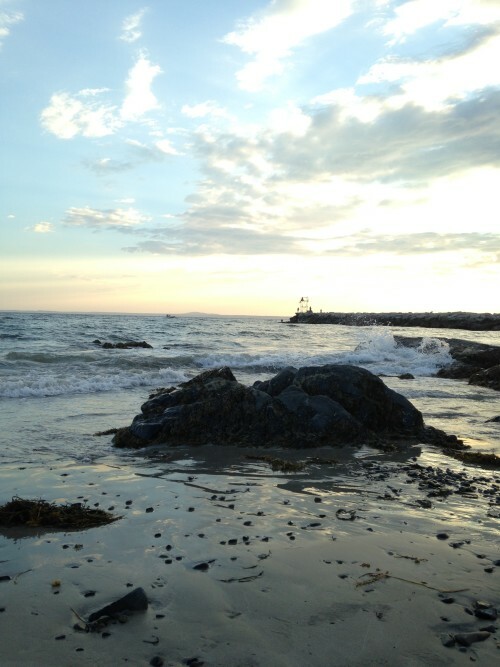 Such a relaxing way to begin your day in Kennebunkport! 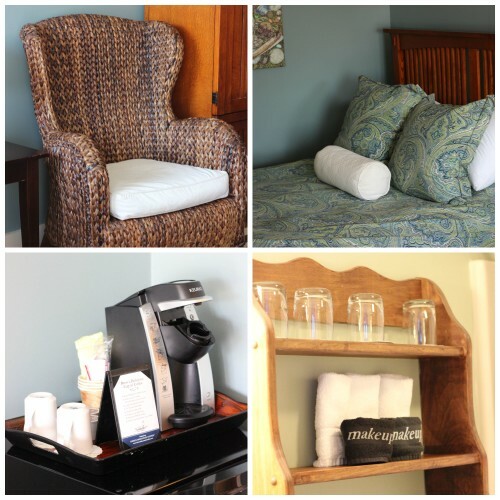 The Nonantum Resort ranks #1 on Trip Advisor for Kennebunkport, Maine hotels, and I’m sure they won’t disappoint you. 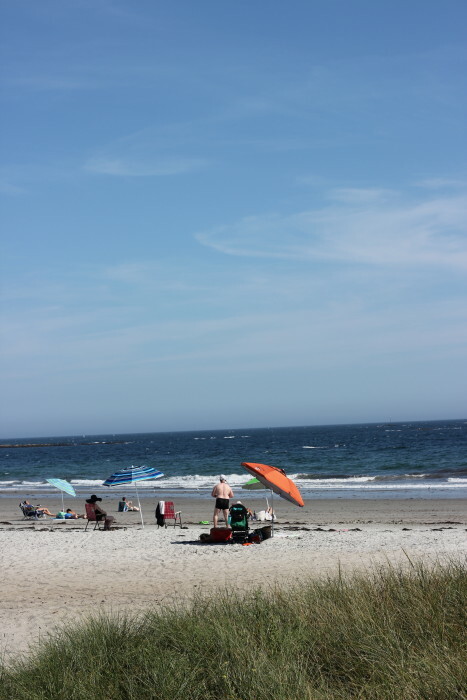 The Colony Hotel is a short walk from The Nonantum Resort and has an incredible view of the Atlantic. Their Olympic-size swimming pool area overlooks the waters and you don’t necessarily have to stay there to enjoy it. Simply make a purchase at the hotel bar and they are happy to let you enjoy your refreshment in that area or in the rockers. 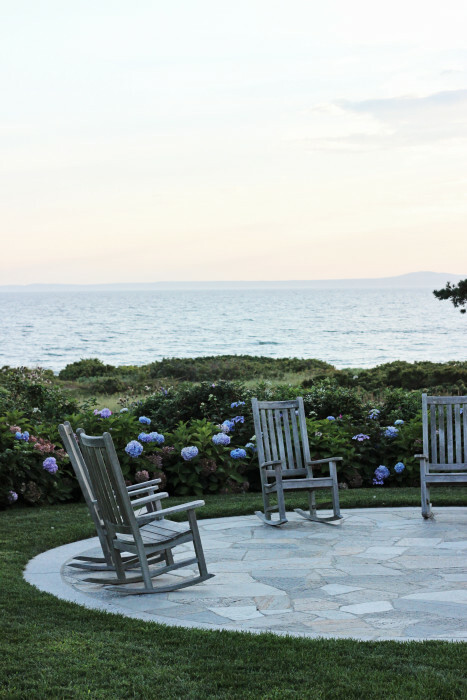 So if you can actually pry yourself out of your cozy room with a view, there’s actually a lot to enjoy in and around Kennebunkport. 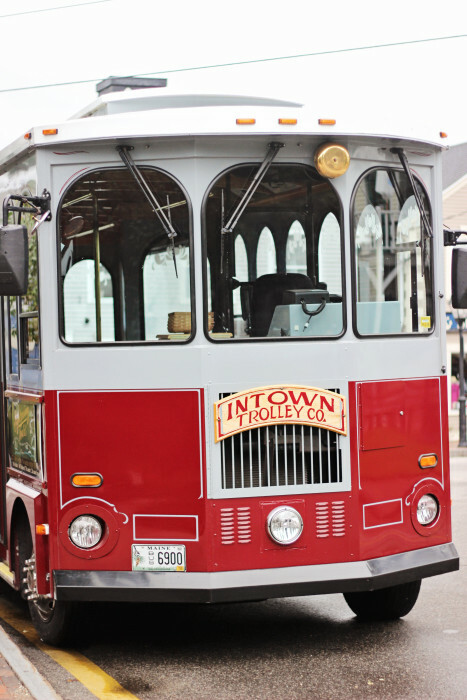 Intown Trolley is an open-air vehicle that you can catch throughout the town of Kennebunkport (including at the Nonantum Resort.) Check their website as hours vary according to season. Our driver was very knowledgeable about the area and narrated the entire 45 minute tour, providing us with fun facts and entertainment along the way. I took all of these photos from the trolley. We even got to drive by “The Bush Compound” which was a site to behold. The Texas flag is flying below the American one which means they are currently in residence. Regardless of politics, the Bush family is adored by locals. Intown Trolley is not a “hop on hop off” tour. Once you’re on, you’re on, though if you’d like leave the tour early and walk back to your hotel you are welcome to. This is exactly what we did so we could enjoy lunch in town before making the short walk back to The Nonantum Resort. 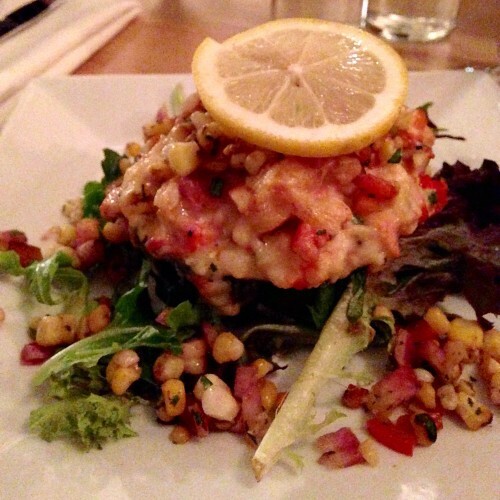 Yep, we’re counting eating as “things to do” because there’s award-winning food in Kennebunkport that must be experienced! 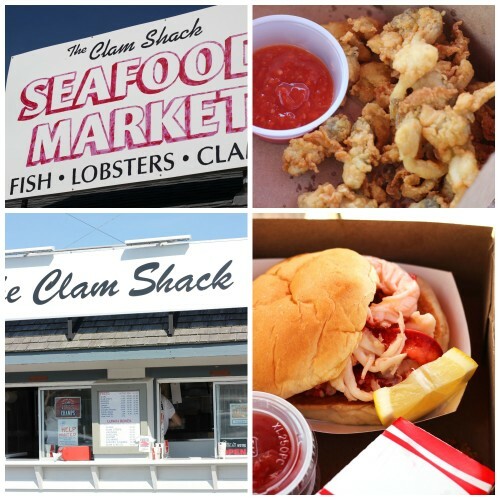 The Clam Shack has won too many lobster roll awards to count and Martha Stewart raves about their fried clams. So of course I had to try both! Be prepared to answer, “Do you want butter, mayonnaise or both on your lobster roll?” and I suggest you get both. Wow! You can diet when you get back home. Just go for it. Be prepared to wait in line at the outdoor stand and to grab a picnic table to eat your selections. 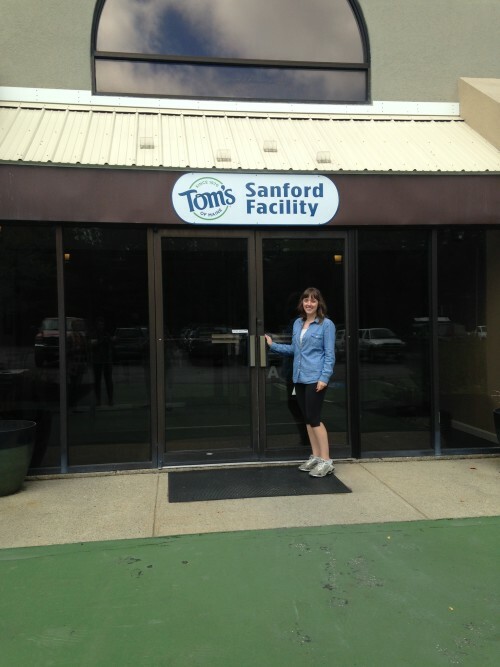 Tom’s of Maine is a company that values stewardship of our environment and social responsibility. 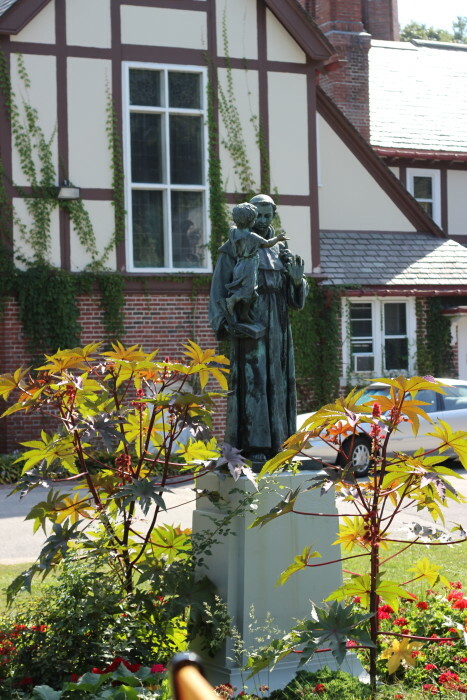 You can read more about their values and how they put them into action by reading the Tom’s of Maine Goodness Report. 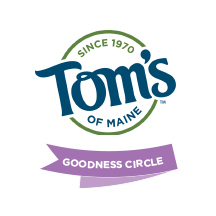 Tom’s of Maine employees are able to use 5% of their paid work time volunteering for the nonprofit organization of their choice, so of course The Goodness Circle was happy to be a part of the team and volunteer too! I very much enjoyed doing some trail clearing at the Kennebunkport Conservation Trust, Emmons Preserve. 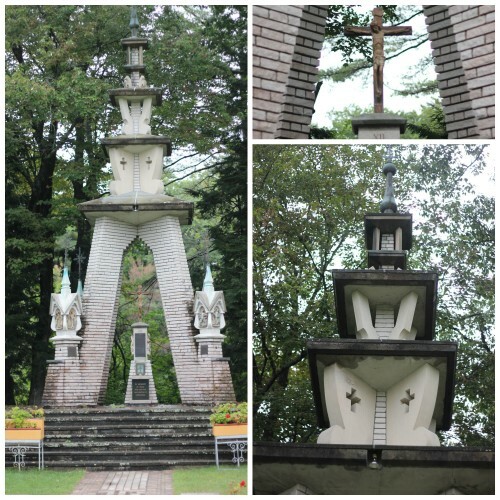 Here you’ll find hiking trails for various experience levels and a beautiful picnic area. 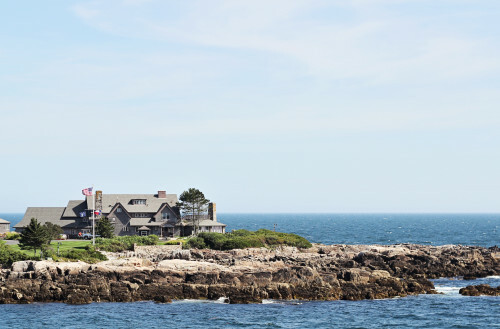 When visiting Kennebunkport it’s easy to spend all of your time by the ocean without seeing a different part of the topography. 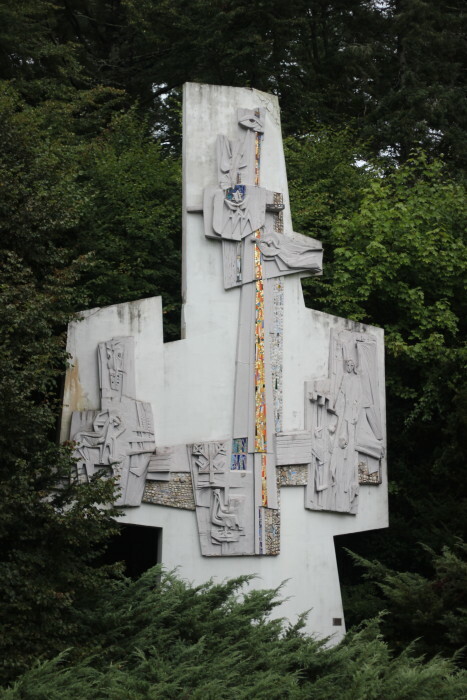 If you’re into geocaching, you’re in luck because several are hidden here. 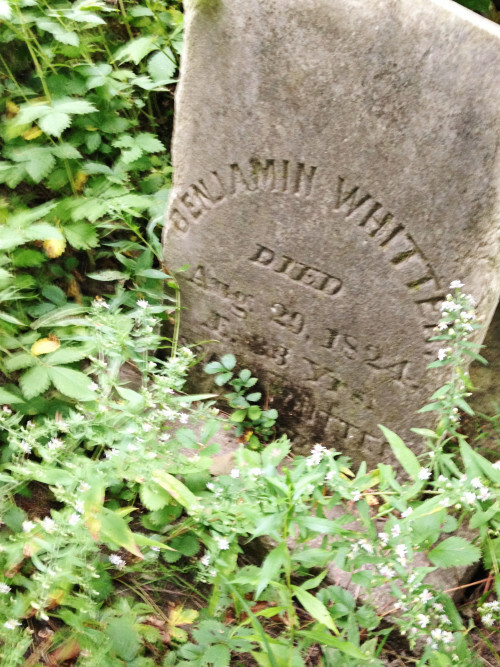 History buffs will enjoy the family cemetery on the land. 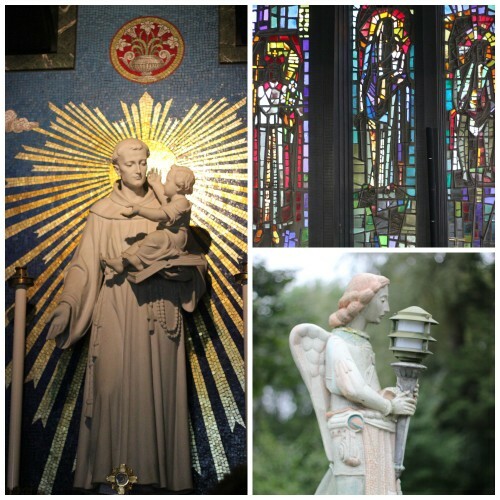 The Intown Trolley will drive through the Monastery property, but it’s worth seeing on it’s own. Read the second sentence of the paragraph in the picture. It doesn’t get much fresher! Mabel’s Lobster Claw is a favorite of locals including the Bush family. In fact, we missed the elder Bush and Barbara by about 10 minutes during our evening at Mabel’s. If only we’d ordered dessert! I had the special that night which was the creation pictured above. A steamed whole lobster with butterfly shrimp lining the open tail. Amazing! 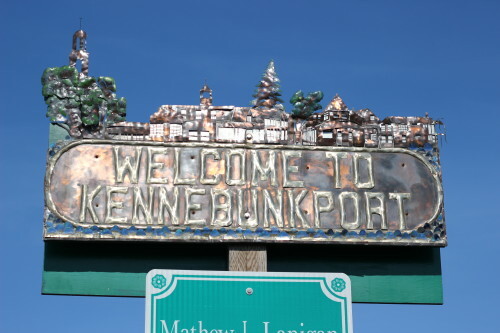 Even if all you do during your stay in Kennebunkport is enjoy your accommodations, eat at the fabulous restaurants and shop the quaint boutiques in town, your time will have been well spent. 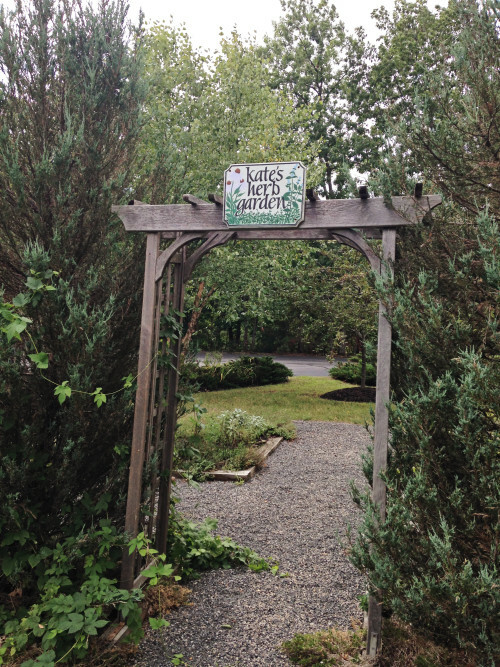 I returned from Kennebunkport feeling rested, with a greater appreciation for the environment. Being around the Tom’s of Maine team throughout the trip caused me to do a little introspection as well. 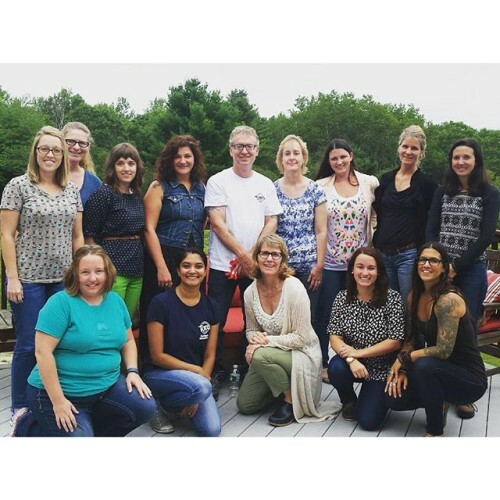 Tom’s of Maine is a brand that places top priority on its company values. I already mentioned the 5% paid volunteer time that is given to each employee, but it wasn’t until I took a peak in Tom’s nearby Sanford manufacturing facility that I really saw their values put into action. When Tom’s of Maine sets goals, they mean business! Check out their Goodness Report to gauge how they are doing on their goal of zero waste. I wasn’t allowed to bring a camera beyond this point, but seeing how Tom’s of Maine recycles everything from the hairnets we’re wearing in the photo above to the minuscule trim pieces that come off each sealed toothpaste tube really made an impact on me. I came home asking myself how I could be less wasteful too! 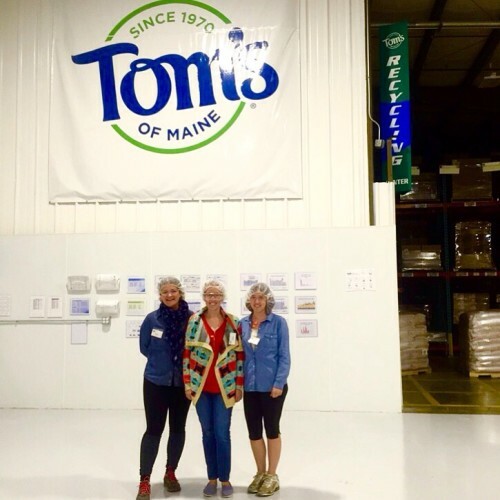 After seeing this company in action, Tom’s of Maine is a brand I’m even more proud to be associated with. Though Tom’s of Maine is now owned by Colgate-Palmolive, they are still a small company that has held fast to its original values. I’ve seen it first hand! Personally, I’m glad that Tom’s of Maine is more available to the public since aligning with Colgate. If you’d like a detailed report and explanation of the Colgate/Tom’s partnership, check out this post from my fellow Goodness Circle member Jennifer Lance. This post is brought to you by Tom’s of Maine. All opinions are my own.